The Nintendo Labo lets you stick your Switch into little boxes of cardboard that you make yourself, and then play games or interactive toys with the result. You could make yourself a little keyboard and play some music. Or a robot that you can then drive around. Or a fishing rod. It's a "platform" that encourages you to be creative, colouring your bits of cardboard by yourself, and it's endlessly expandable; Nintendo can keep coming up with new ideas for cardboard boxes to build as long as they continue to sell. As soon as the announcement came through there were the predictable responses from far too many people. 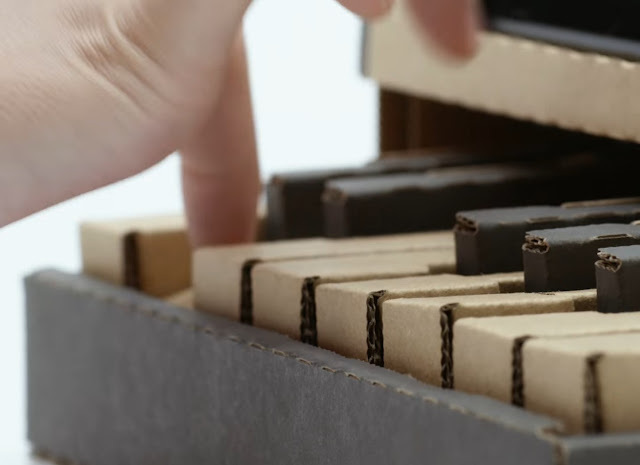 "It's just cardboard," some said, completely ignoring the fact that the "just cardboard" has been precision designed to be constructed and then interact with software on the Nintendo Switch. I could stick my Switch in a cardboard box right now and it won't play music like it will once I've built that mini keyboard. That opinion also ignores the fact that if you strip the creativity, the construction, and the play out of it - as you do in saying Nintendo Labo is "just cardboard" then LEGO and model plains and ships are "just plastic," Warhammer or other wargame figures are "just metal," and a canvas or piece of paper that you might draw or paint on is "just dead tree." It's deliberately ignoring the essence of what these things are, and it's disingenuous in the extreme. The other common complaint is even less rational. "It looks boring/ it's not for me," typically said by adults, or at the very late year teenagers." It's quite clearly designed for younger children, and I'll never cease to be surprised when people criticise something for not being designed for them, as though everything should be. 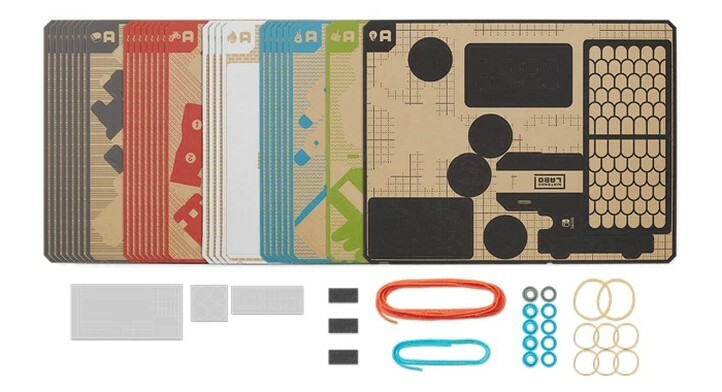 Anyhow, putting those things aside, I think the Nintendo Labo is the company's most perfect design for displaying the kinds of traits that Nintendo wants to be known for. It's a highly creative, energetic and responsible product. It has been designed not only to give kids something to play with, and consume, but also something to get them actively engaging their brains and to build something. For that reason it's very much in the spirit of LEGO - a toy that psychologists and child experts have long agreed is very, very good for children. There is another way to have fun with construction toys, and it might help children develop a form of non-verbal intelligence that is crucial for achievement in many STEM fields. You only need to take one look at how Nintendo Labo is designed to realise that this is exactly what that structured block play, above, describes; kids have a blueprint to work from, and they then construct something tactile that also gives them a tangible award for their work - i.e. they have a piano or fishing rod to play with. The goal of the toy is explicitly to make the process and sense of creation an enjoyable, inspiring process for the child. And with the increasing focus on STEM-based skills at school, it's toys like this that really help kids start to develop critical skills. With too much passive entertainment for children out there, and as a company who has a broad appeal to children, Nintendo is doing the socially responsible thing in designing toys like this. From there you could argue that Nintendo could do more; offer kids some basic programming tools to play around with the function of the toys that they're building, for example. Or make the toys more varied in what kids can do with them. I remember as a kid I had circuit and science kits that really encouraged me to learn the ins and outs of STEM design and construction (stuff like this), so certainly those things can really help as well. But Nintendo's product is more subtle than that. It's teaching through pure play, and designed to be something that doesn't resemble work at all. And you never know; if this becomes a major project category for Nintendo, it could well be expanded to offer more serious educational applications... if not actually end up in the classroom. What we've seen of Nintendo Labo so far could well be just tentative first steps for a grander plan that the company might have in store. If nothing else what Nintendo has done here is find a product category that it doesn't need to compete with the other game developers with. 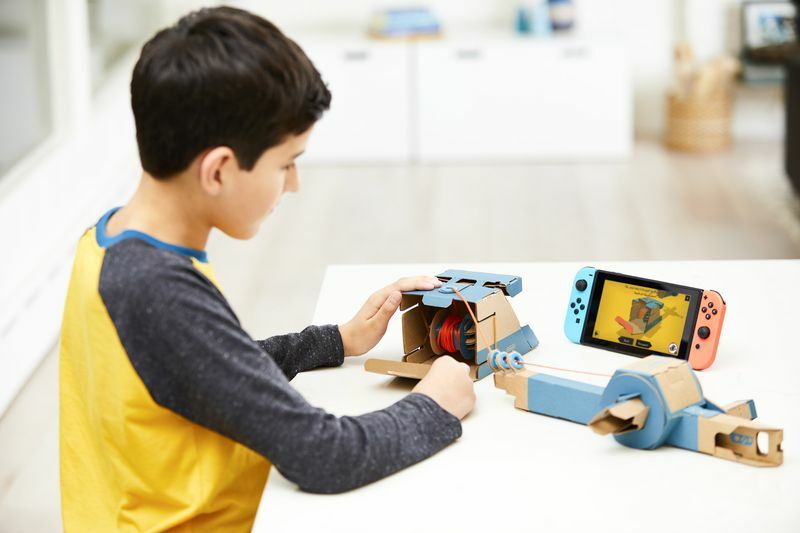 Nintendo Labo brings that love that kids have of toys to life by giving kids tactile experiences. It offers that interaction between the real world and virtual world that VR and AR pushes so hard for. And yet it's entirely different to these things, and it's something that I genuinely hope goes well for Nintendo. I'd much rather see kids buying things like this in the game store than getting their parents to buy them things like Call of Duty.